When your home is in a busy neighbourhood, it can be difficult to have a quiet home. That’s because windows are arguably the most vulnerable part of the home for sound insulation. For a relaxing home, you need noise cancellation windows. 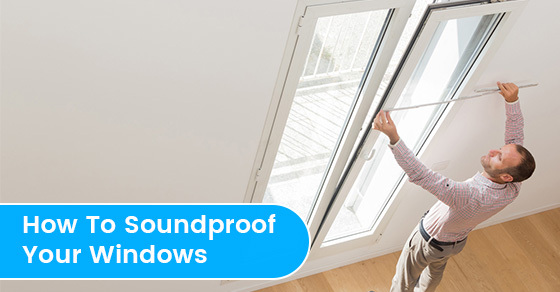 Here are some of the best windows for dampening sound coming from outside. The thin glass panes are usually the culprit for noise coming from outdoors. Adding laminated glass panes onto existing windows is a great option for improving the soundproofing of your current windows. Although this option can be costly, the laminated glass will tone done any loud noises from outside. Soundproof or insulated glass units are designed for installation on the inside frame of existing windows. They are manufactured by technicians with laminated soundproof or security glass. Since the glass comes in a sealed unit, the function of your window will not be affected. Most of the non-rated windows found in hardware stores are typically intended to conserve heat. But when installed on the interior frame of existing windows, they trap dead air, providing exceptional soundproofing. Window plugs are actually foam windows installed to block both light and sound. Once installed, they don’t let any light pass through, yet at the same time block any noise from outside. Window plugs are designed for easy installation and replacement. You can add this clear noise cancellation film to your window panes to enhance soundproofing of existing windows. The film works by minimizing sound vibrations, thereby reducing noise that passes through into your home. The STC rating: Sound Transmission Class (STC) is one of the factors used to check the performance of windows. Choose SSP: Sound, Security, Performance — glazing for double pane units for improved sound reduction and security. Contact Landmark Home Solutions today to learn more about our windows and doors.